From ayatollahs railing against the Great Satan (aka the United States) to whip-wielding policemen on motorbikes, Iran hasn’t presented the most inviting face to the outside world over the last few decades. But a few days ago the UK Foreign Office stopped telling travellers to avoid non-essential trips. So what’s it like for a visiting foreigner? Amy Guttman shares her experiences. 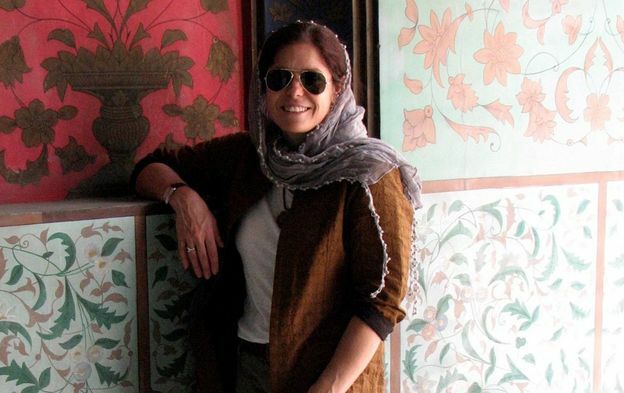 I’m fairly fearless in far-flung places, but arriving in Tehran made me nervous. As a single, white female, I stuck out. I scanned the hall for my guide Amin, and didn’t relax until I spotted his placard with my name on it. British, American and Canadian tourists must be accompanied at all times by a guide. This meant Amin, short in stature, but long in kindness, would spend the next eight days with me – many of them stretching from dawn until late at night. Amin, with his warm smile, sharp sense of humour, and gentle nature became like a brother to me. He also became my accountant. Hotels, food and souvenirs are roughly on a par with American prices, but for an outsider working this out can be tricky – Iran uses the rial, but prices are often in toman, which equal 10 rials… Let’s just say there are several zeros to contend with, and long-division skills are a necessity.